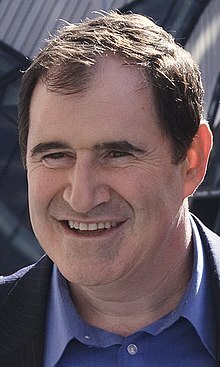 ریچارد کیند (اینگیلیسجه: Richard Kind) آمریکالی دوبلور و اوْیونچو. آمریکادا دۆنیایا گؤز آچیب. 1987 Hooperman Reindeer Episode: "Deck the Cell with Bars of Folly"
1988 My Sister Sam Lang Episode: "The Art of Love"
Mr. Belvedere Joe Episode: "Marsha's Secret"
1989 Empty Nest Elton Sexton Episode: "A Life in the Day"
21 Jump Street Caller (voice) Episode: "Next Victim"
Anything but Love Bradley Episode: "Just the Facts, Ma'am"
1991 Princesses Len Kleckner Episode: "Someday My Prince Will Gum"
1992 Stand By Your Man Larson Episode: "Spare Me"
Great Scott! Alberts Episode: "Choir Mire"
1993 The Building The Neurotic Director Episode: "Father Knows Best"
1994 The Nanny Jeffrey Needleman Episode: "The Playwright"
Nowhere Man Max Webb Episode: "The Spider Webb"
1996 Space: Above and Beyond Colonel Matthew Burke Episode: "Level of Necessity"
1998 Something So Right Paul Episode: "Something About the 'Men' in Menstruation"
The Lionhearts Additional voices Episode: "Singin' in the Mane"
1999 Strangers with Candy Harry Link, DDS Episode: "Who Wants Cake?" The Wild Thornberrys Lyrebird (voice) Episode: "Koality and Kuantity"
2001 Even Stevens Uncle Chuck Stevens Episode: "Uncle Chuck"
2003 Just Shoot Me! Jimmie Korsh Episode: "The Last Temptation of Elliot"
Miss Match Phil Weston Episode: "Kate in Ex-tasy"
2004 Girlfriends Peter Miller Episode: "Prophet & Loss"
Oliver Beene Barnaby Rollins Episode: "X-ray Specs"
The Division Hicks Episode: "Lost and Found"
That '70s Show Kimberly's Dad Episode: "(I Can't Get No) Satisfaction"
Less than Perfect Lance Corcoran Episode: "Shoo-In"
2005 Head Cases Lou Albertini Episode: "S(elf) Help"
2006 Three Moons Over Milford Pete Watson Episode: "Dog Day Aftermoon"
2007 Law & Order: Criminal Intent Ernest Foley Episode: "Privilege"
Psych Hugo Episode: "From the Earth to Starbucks"
Two and a Half Men Artie Episode: "Is There a Mrs. Waffles?" 2009 Chowder Gumbo (voice) Episode: "The Deadly Maze"
Dora the Explorer Greedy King (voice) Episode: "Dora Saves the Crystal Kingdom: Trilogy 2"
Sherri Whiny Neighbor Episode: "Indecision '09"
Trauma Ira Episode: "Frequent Fliers"
'Til Death Charlie Episode: "Brother's Keeper"
2011 Harry's Law Marty Slumach Episode: "Send in the Clowns"
Femme Fatales Jonathan Shields Episode: "Behind Locked Doors, Part One"
Phineas and Ferb Executive (voice) Episode: "Perry the Actorpus"
2012 Sketchy Lord Arby Episode: "Downtown Arby's"
NYC 22 Geoff Arnhauldt Episode: "Thugs and Lovers"
2013 Kroll Show Mark Episode: "Can I Finish?" Childrens Hospital Marvin Episode: "Country Weekend"
Drop Dead Diva Marty Frumm Episode: "One Shot"
The Good Wife Judge Alan Davies Episode: "The Next Day"
2014 The Michael J. Fox Show Mr. Norwood Episode: "Secret"
Bad Teacher Brie's Husband Episode: "Pilot"
Glee Mr. Rifkin Episode: "The Back-Up Plan"
The Middle Dr. Niller Episode: "Unbraceable You"
2015 What's Your Emergency Devon Micketty Episode: "Let's Make a Date"
Unbreakable Kimmy Schmidt Mr. Lefkovitz Episode: "Kimmy Goes to School!" Happyish Moses Episode: "Starring Helen Keller, Moses and Lenny Bruce"
Survivor's Remorse Ira Irwin Episode: "M.V.P." 2016 Elementary Trent Garby Episode: "A Study in Charlotte"
Man Seeking Woman God Episode: "Blood"
Still the King Walt's Dad Episode: "Flatbushes"
Welcome to the Wayne Harvey Timbers (voice) Episode: "Spacefish"
Disjointed Special Agent Schwartz Episode: "The Worst"
The Goldbergs Formica Mike Episode: "Girl Talk"
The Librarians Bennie Konopka Episode: "And the Steal of Fortune"
2018 Young Sheldon Ira Rosenbloom 2 episodes: "Demons, Sunday School, and Prime Numbers" and "Vanilla Ice Cream, Gentleman Callers, and a Dinette Set"
2019 The Other Two Skip Schamplin Episode: "Chase Goes to a Premiere"
↑ J.K. Simmons, Martha Plimpton, Richard Kind & More Head to 'Brockmire' Season 3 (October 21, 2018). یوْخلانیلیبOctober 29, 2018. اینگیلیسجه ویکی‌پدیاسی‌نین ایشلدنلری طرفیندن یارانمیش«Richard Kind»، مقاله‌سیندن گؤتورولوبدور. ( ۲۲ ژانویه ۲۰۱۸ تاریخینده یوْخلانیلیبدیر). قارداش پروژه‌لرده ریچارد کیند گؤره داها آرتیق بیلگی‌لر تاپابیلرسینیز.